Located in the southwestern part of Tibet Plateau, China, Tibet has attracted tourists from all over the world for its Vajrayana Buddhist culture, stunning view and magnificent architectures. This article is going to list 6 places you must visit when you come to Tibet. As well-known as “the Pearl of the Plateau”, the Potala Palace is situated at the top of the Red Mountain in the northwest part of Lhasa, Tibet. It is one of the most important architectures in Tibet Plateau and was once the politics center of Tibet. It has a great collection of many antiques and sculptures. It was built in A.D. 631 and is 200 meters tall. There were two possible reasons why it was built. One is that the Palace was built in order to consolidate the local regime. Another is that it was built by the local prince as a gift to his future wife. Due to its priceless architectural and cultural value, it has been listed in the World Heritage List by the United Nations Educational, Scientific, and Cultural Organization (UNESCO) since 1994. 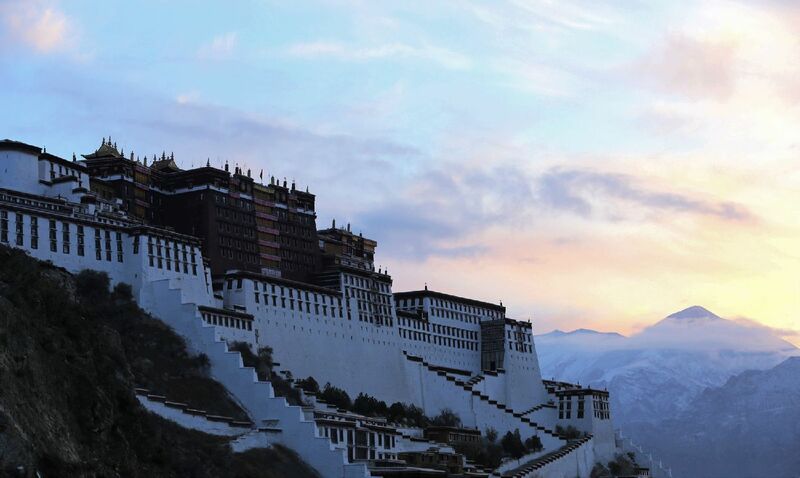 It is recommended to visit the Potala Palace between March and October. Since the temperature here changes a lot within a day, please bring all types of clothes including coat and T-shirt with you. It is noted that the ticket has to be booked one day early and there are only 2300 tickets provided per day. The opening hour is from 9: 00 a.m. to 12:00 a.m. and 3:30 p.m. to 4:30 p.m. with the price being 200 RMB from May to October, and 100 RMB from November to April. Located in the middle of Tibet, Namtso Lake is the second largest lake in Tibet and the third largest salt water lake in China. With its 4718 meters above the sea level, it is the highest lake in the world. 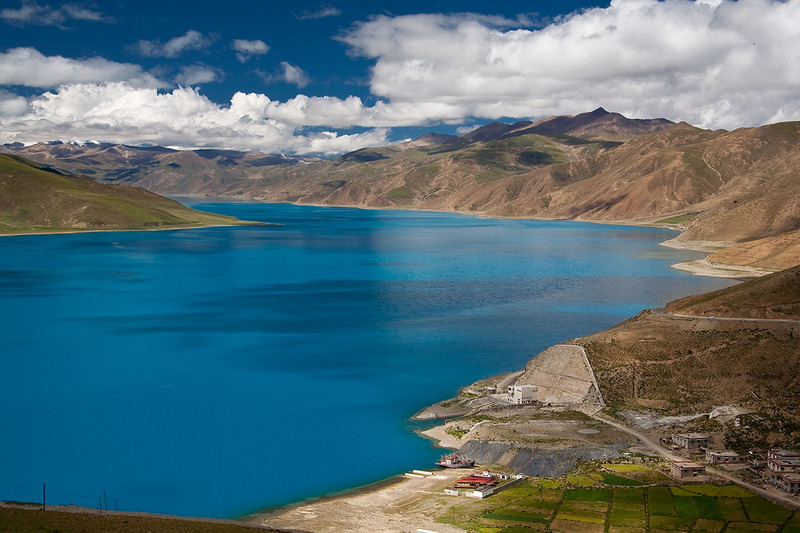 The name Namtso means “the lake of the sky” in Tibetan because it is as blue as the sky. It is also one of the three Holy Lakes in Tibet. There are 18 islands in this 1,920-sqare-kilometer lake. Four temples are standing at the four corners the lake representing four concept of the Buddhism. The water is so clear that as if your soul would be purified by it. 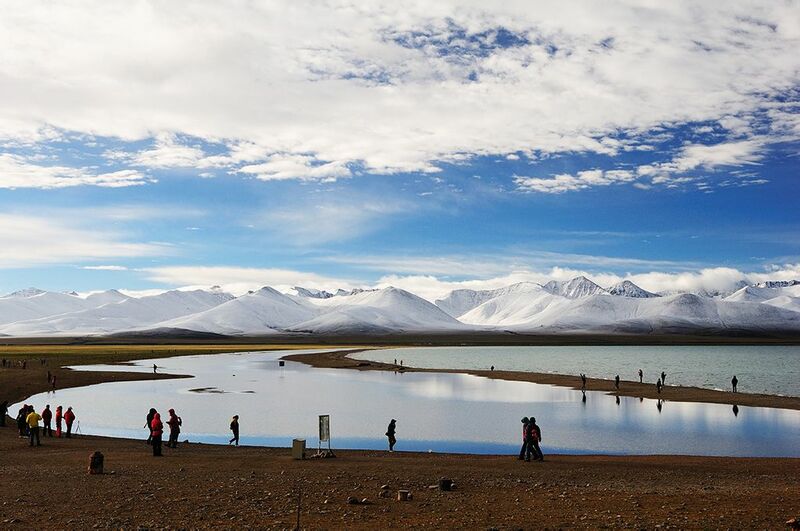 It is recommended to visit Namtso Lake from July to September; however, it is noted that since it is the raining season, the road is bit muddy. Many travelers would like to spend a day and a night near the lake to enjoy the sunset and the sunrise. Although there are accommodations provided, it is highly recommended to bring your own tents and supplies. If you would like to rent the yak or the horse to carry the luggage, please book those services in advance. The opening hour is from 6: 00 a.m. to 6:00 p.m. with the ticket being 120 RMB from May to October, and 60 RMB from November to April. Situated in the southeastern part of Tibet, Yarlung Zangbo Grand Canyon is the deepest canyon on the planet, with the deepest part being more than 6000 meters. The average depth is 5000 meters and it is 504.9 miles long. Many areas of which have not been explored by the human so far, hence it is also known as “the last secret place”. The vast area along the canyon is the home to many wild animals and plants, including two thirds of the known plants and half of the known mammals in Tibet, and 60 percent of the known fungus in China as well as one quarter of the cuckoo in the world. There are four large groups of waterfall with some falls being 30 to 50 meters tall and more than 50 meters wide. The whole area is covered by layers upon layers of forests. The annual precipitation of the south end and the north end is quite different from each other, as a result of which, this canyon is a textbook example of the biodiversity. 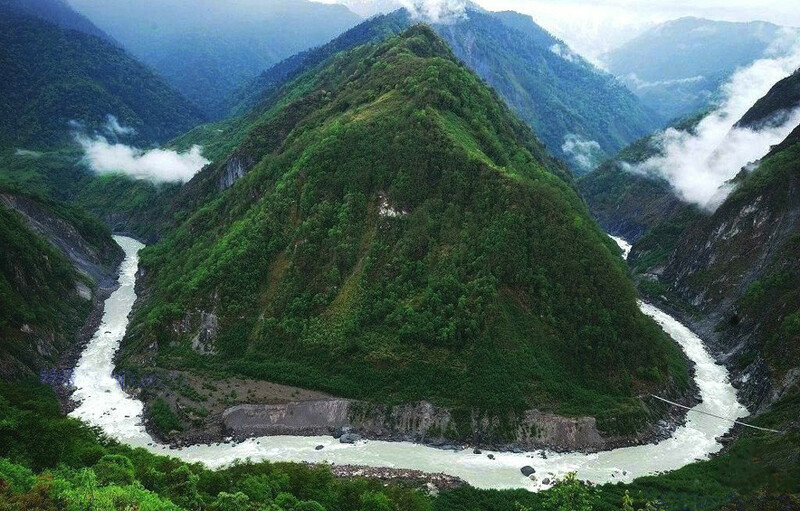 It is recommended to visit Yarlung Zangbo Grand Canyon between the beginning of June and the middle of October. There would be heavy snow from the middle of October; hence the area would be closed until the next June. The opening hour is from 6: 00 a.m. to 6 p.m. with the ticket being 290 RMB for land route and 710 for both land and water route. Meals are covered. Having talked about the deepest canyon in the above article, what I am going to present you in this article is the highest mountain today along with another 2 places that you must visit in Tibet. Located at the border of China and Nepal. Mount Qomolangma is the main peak of the Himalayas. 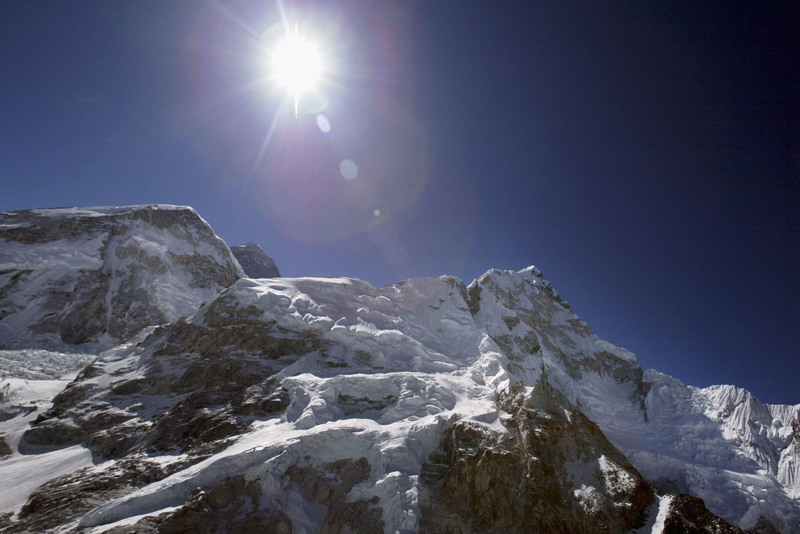 It is the highest mountain on the planet with the height being 8848 meters. Qomolangma means “the third goddess” in Tibetan. Although the top of the mountain is covered with snow with a size of more than 10 thousand square kilometres, the area below 4100 meters of Mount Qomolangma and the nearby area is the Natural Conservation Area and the home to many wide animals and plants including 2106 kinds of angiosperms and 206 types of birds to name but a few. At the bottom of the mountain, there is Rongbuk Temple, which is a great place to enjoy the sunset. Although, as ordinary tourists, it is not likely to reach the top of Mount Qomolangma; travellers can still enjoy the magnificent view. It is recommended to visit Mount Qomolangma between April and June, and between September and October. The opening hour is the whole day with the ticket being 180 RMB. YamdrokTso Lake, located in the south part of Tibet and 70 miles southwest off Lhasa, is one of the three Holy Lakes of Tibet. The name YamdrokTso means “the lake of jade” in Tibetan. It is the largest in-land lake in the the Himalayas area. It is 4441 meters above the sea level and is 675 square kilometers. There are 21 islands with various sizes in the lake. It is also famed for having “the most beautiful water in the world”. In addition, YamdrokTso Lake is the largest habitat for migration birds in the south part of Tibet. It is recommended to visit YamdrokTso Lake between September and November. The opening hour is whole day with the ticket being 40 RMB per person. Nyingchi, or Linzhi in Chinese, situates in the southeast part of Tibet. The name Nyingchi means “the throne of the sun” (where the sun rises) in Tibetan. Although it is located in the Tibetan Tibet Plateau, you can still enjoy the view of the countryside. 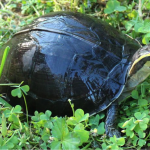 There are well-preserved forests and numerous kinds of flowers and grasses. You can also experience the unique local customs here. The average altitude is 3100 meters. It surrounded by three mountains. It is the home to numerous types of flowers, trees and fruits; as a result, it is known as “the museum of the plateau ecology”. It is the home to saussurea involucrate that only grows in the frigid zone and banana and palm that only survive in the sub-tropical area. 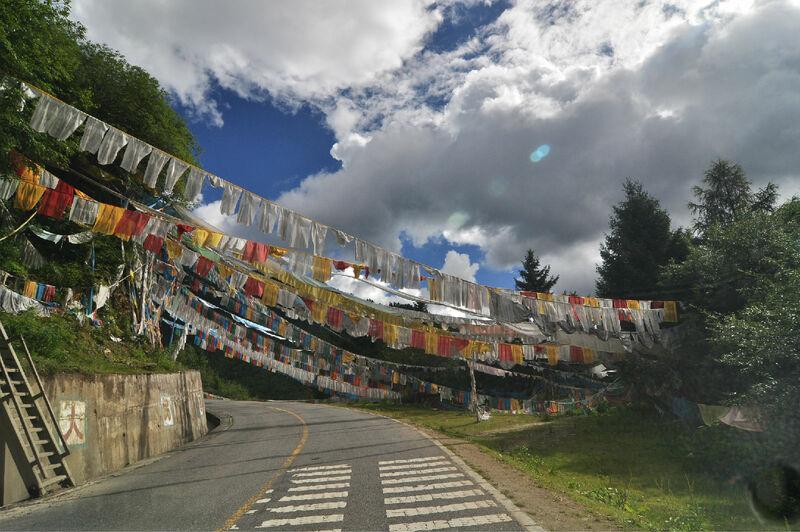 It is recommended to visit Nyingchi between March to May, and between September and October. It is noted that it is a bit risky to travel between June and August since it is raining season which would lead to debris flow and other disasters. There are much to see and to do in Tibet, come and explore yourself!